WHAT IS IT? 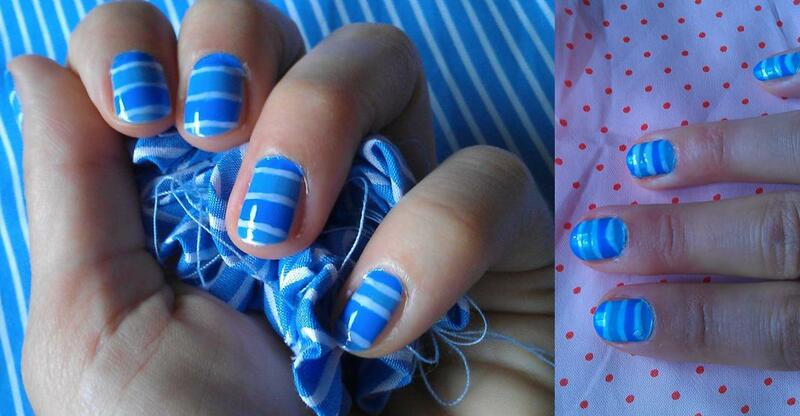 Striped nails in two different light blues with thin white lines seperating them. WHAT IS USED? Bikini to teeny from essie’s last year’s summer collection was the base. Then I cut tape in about 0.5mm thin stripes and put two on each finger. I then painted this over with the p2 from the pool side party edition in 050 new wave. As a final touch I painted thin white lines between the lighter and darker light blue stripes. HOW DOES IT FEEL? The colour combination in great. It looks so much like summer, I love it. And I think the white stripes are essential but and this is a big but: I don’t like that they are not perfect on the left hand and we are here not taking about the right hand at all. Thin and straight are not the words that come into mind when you see these nails… I might have to come up with a good idea on how to make them perfectly thin and straight when tapeing them is no option as it would be too much work. Any ideas on how to solve this problem? Check outmy other nail arts for the 31 Days Nail Challenge too. This entry was posted in Nail Art and tagged 11A, 31 day nail challenge, bikini so teeny, essie, Manhattan, Nailpolish, new wave, P2 by kathatravelling. Bookmark the permalink. 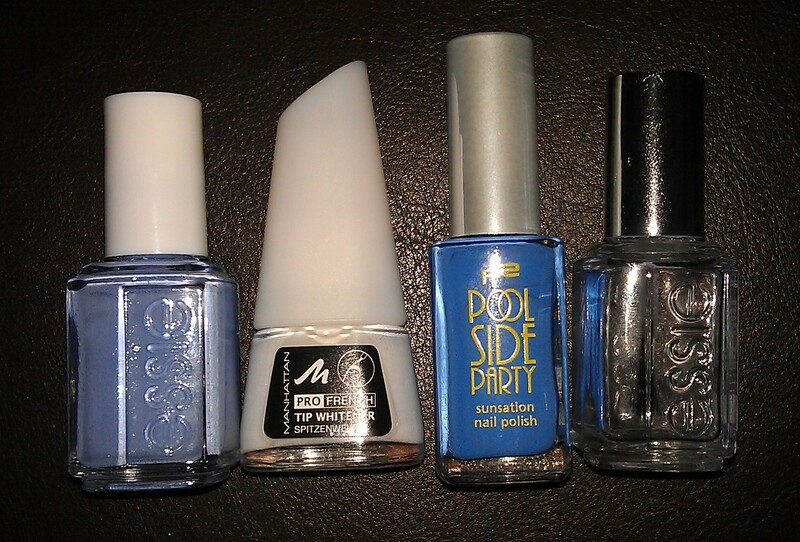 Because of your challenge, I have actually purchased a few nail polishes – the fast drying ones!